Celebrating the holidays doesn’t have to be lavish. In fact, a Christmas at home might be everything you’ll ever need this season. If preparing for seasonal celebrations sound like just another burden, you’re doing it wrong! The holiday cheer is supposed to make you feel delighted and ecstatic, not anxious. Although a trip to a faraway place may sound fun and exciting, sometimes, being simply at home with your friends and family will leave you feeling even happier and contented this Christmas. Here are some ways to enjoy a warm Christmas celebration at home. Cultivate your children’s creativity and sweet tooth by decorating a gingerbread house together. This way, your kids will have fun, and you can build a stronger bond with them at the same time. Let your kids know that their arts and crafts are worth showing off! Decorate your home with their cute little masterpieces. When it comes to the holiday dinner, nothing beats family teamwork! Let the kids help with the preparation and use holiday-themed tabletop decor for an extra Christmas vibe. 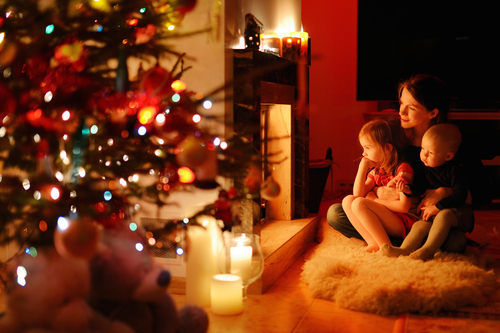 Let your family start a Christmas ritual to observe every year and make it more special. This way, there will always be something to look forward to. Baking with the kids is always a fun activity, even when it’s not Christmas! But the season makes it even more special. Have fun with the whole family and keep yourselves busy with game nights! The holidays are perfect to spend some quality time with the family whether it’s a grand, luxurious adventure in an unfamiliar city or a well-known, comfortable place called home.